Hydrangeas are some of the most beautiful flowers to choose for centrepieces and bouquets. 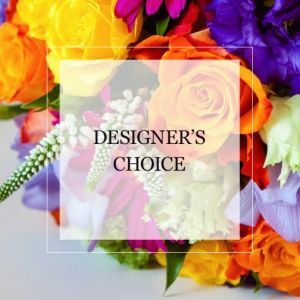 The flowers are also a great way to show someone how much you care and can be used to show your gratitude or as a symbol of grace and prosperity in your life. The colour of the hydrangea is also significant since blue is a colour that signifies peace and tranquility, pink is a joyful and romantic colour, and white is a sign of peace and pure love. When selecting hydrangeas for a bouquet, there are a few tips and tricks for cutting hydrangea’s to ensure the flowers continue to look their best. The way that the flowers have grown will determine how they should be pruned. If the hydrangea were pruned from stems that were there from the previous year or you have the chance to choose the hydrangea that you want to be pruned, it’s fine if the dead blooms or stems are cut, as long as they are cut close to the bloom. If you want to make sure the flowers are especially fresh, determine whether the hydrangea has been pruned in the beginning or middle of the summer since this is essential to keeping the blooms looking their best. Look at the stems to make sure that not too many bulbs are pruned, especially if you’re going to use the hydrangea as a home centrepiece before planting them in your garden so you’ll have new blooms for the following year. Getting quality hydrangeas will guarantee that your flowers will look great for extended periods of time. When it comes to cutting the hydrangea, make sure you have water ready right away. This is also convenient for you since you’ll be able to take the arrangement directly from the floral shop to your table. When the hydrangeas are placed in water as soon as they are cut, they are less likely to wilt early. If the flower is cut directly from the shrub or ordering fresh flowers to sell, make sure that the hydrangea has a stem that is long enough for you to arrange the flowers in the vase of your choice. The longer the vase, the longer the stem should be. If you don’t have the vase you’re going to use on hand, use a plastic or temporary vase. However, you should have the measurements for the vase, since flowers should be cut around 3 inches higher than the bottom of the vase. Be sure that the leaves are removed from the stems as well. The leaves will soak up the nutrients from the water, and this will result in the leaves thriving while the actual hydrangea flower struggles to grow. To make the bouquet look especially uniform and healthy, you should bundle the stems together and hold them with a rubber band so that each flower is getting the same amount of water. Make sure the vase you’re using is half-filled with water, so the flowers will be getting the nourishment they need to continue showing off their beautiful colour. All the stems should be completely submerged in the water, and if you can’t get all the stems to comfortably stay in the water, just add a little more water to the vase. After your hydrangeas have been cut and in a vase for one day, you should replace the water in the vase every other day. After about two weeks, you’ll likely need new hydrangeas to make your home more inviting.